Many believe that Naples is the most beautiful destination in the world for the climate, beaches and culture. The Artis-Naples, is the home of The Baker Museum and our Naples Philharmonic. You could attend swamp buggy races in the morning and the ballet at night. The Naples Pier is a classic landmark for fishing and amazing sunsets. We are a family business with over 35 years of combined experience. We compliment and assist each other when working with buyers and sellers. We have been fortunate to serve many happy clients and it is our wish to serve or assist you in any way possible. 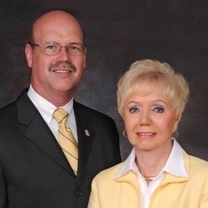 "Terry and I would like to thank you for all you did to assist in selling our Treeline Dr. property in Naples. We know that very few realtors would work to make a sale happen the way you did. You are clearly at the top of those select few that really excel. Thank you for all your hard work." "I am writing this as a recommendation for Joani and Michael Kikkert. Several weeks ago my wife and I began a search for a condominium in Naples. We had never spent much time in Naples so our search was an orientation of the area as well as looking at specific real estate. Joani and Michael assessed what we might be the most pleased with and we found what we think is the perfect condo, exactly what we were looking for. We are from Chicago area so closing details were all done with their attention. We were not present. Every aspect of the transaction went perfectly. I would highly recommend them to anyone in the Naples area." "We wanted you to know how much we have appreciated Michael and Joani Kikkert and their attention to detail as they represented us in the purchase and sale of our properties in Pelican Marsh. We frequently called them while we were out of town to ask their advice on several matters and they were so accommodating to answer our questions or concerns. So professional in every regard. We especially appreciated Michael's professionalism in producing the video. We would highly recommend their services to anyone in need of a Realtor."